Syllabus of the Online Course (Subject): Greater Mekong Subregion (GMS) - Asia. Credits of the Course “Greater Mekong Subregion”: 0.5 . Description of the Online Course: Greater Mekong Subregion. The main objective of the Greater Mekong Subregion is to boost economic cooperation between member economies. 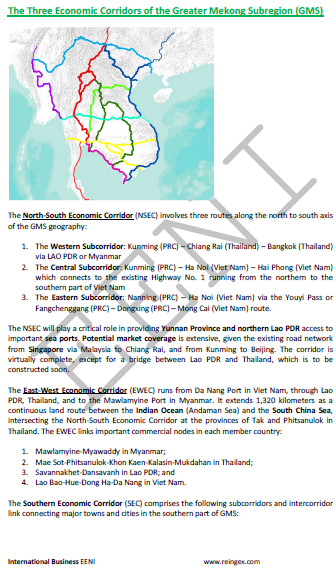 Economic Profile of the Greater Mekong Subregion (GMS).